The Best Malaysia Food blogs from thousands of top Malaysia Food blogs in our index using search and social metrics. Data will be refreshed once a week. 2.36 Eat what, Eat where? Malaysia Food newsletter is a comprehensive summary of the day's most important blog posts and news articles from the best Malaysia Food websites on the web, and delivered to your email inbox each morning. To subscribe, simply provide us with your email address. Malaysia About Blog HungryGoWhere Malaysia is your Kaki Makan who helps you discover what & where to eat. Search & discover the best restaurants. Unearth great recipes & places to eat from our food guide. Facebook fans 201,213. Twitter followers 1,131. Kuala Lumpur About Blog EatDrink Kuala Lumpur covers the best restaurants, food, and drinks in the Greater KL area through our directory, reviews, and feature stories. Facebook fans 47,336. Twitter followers 330. Malaysia About Blog Malaysia's top food blog with restaurant, hawker food and street food reviews in Kuala Lumpur. Features food guides for Penang and Melaka. Facebook fans 40,557. Twitter followers 452. Sydney, Australia About Blog Hailed by Time Out Sydney as Sydney’s high priestess of Malaysian cuisine, Jackie M is a Malaysian street food expert, TV presenter, Live Video pioneer, HuffPost Contributor, and former restaurateur. Facebook fans 28,799. Twitter followers 5,606. Facebook fans 167,661. Twitter followers 21. Malaysia About Blog Malaysianfoodie emphasis on food, hotel, travel, shopping, product review and event. Reviews of restaurants, hawker and street food in KL, Penang and beyond. Facebook fans 21,834. Twitter followers 116. About Blog Kampungboycitygal.com is a Malaysian Food and Travel blog. The "dynamic duo" has been blogging since December 2005. Facebook fans 20,533. Twitter followers 833. Penang About Blog We search for good Penang food and we making sure you hungry after reading our post, Tasteiest is a must read for Penang food enthusiasts. Facebook fans 45,303. Twitter followers n/a. Kuala Lumpur About Blog A Malaysian food, travel and lifestyle blog. Facebook fans 544,217. Twitter followers 2,374. Malaysia About Blog Discover Malaysia through the lense of foodpanda Magazine, Food, Events & Lifestyle, Fine Dining in KL. Facebook fans 2,435,853. Twitter followers 2,219. Kuala Lumpur, Malaysia About Blog A Malaysian Food, lifestyle and luxury travel blog: eat, drink, stay, spa, explore, enjoy. Facebook fans 5,223. Twitter followers 376. Kuala Lumpur City About Blog A new kind of Malaysian food platform. We believe in the superpower of good Malaysian food to unite and bring the best of everyone together. Butterkicap is where you can discover Malaysian food, gain insights, make connections, tap into the rarely-talked about Malaysian way of running a food business, and seek or immortalise precious heritage recipes and cooking methods. Facebook fans 44,401. Twitter followers 40. Malaysia About Blog This is a Travel and Food Blog! C&C are two adventurous Malaysians who travel the world and get up to all kinds of new adventure. Facebook fans 17,669. Twitter followers 42,438. KL About Blog KYspeaks is my little space on the web where I mainly share my adventure on food, travel, and other tidbits that is of my interest. Facebook fans 4,554. Twitter followers 2,247. About Blog Lingzie’s Tummy Treats was born out of the intention to chronicle my eating adventures around Penang since my family and I eat out quite a lot. Along the way, this humble blog has grown to include my eating escapades in other places other than Penang as well. Wonderland About Blog A lifestyle website with emphasis on events and happenings, food reviews, travel, movie, tech, gadgets and more ..
Facebook fans 12,003. Twitter followers 3,224. Kuala Lumpur About Blog Choi Yen shares her dining experiences in Malaysia on Mimi's Dining Room. Facebook fans 510. Twitter followers 26. KL About Blog A Malaysian food blog with tagline: "Great food can come from anywhere"
Facebook fans 1,463. Twitter followers 386. Ipoh, Malaysia About Blog A Malaysia food blog primarily based in Ipoh featuring restaurant reviews & recipe of sinfully delicious meals & desserts. Facebook fans 281. Twitter followers 26. Malaysia About Blog A Malaysian travel & food blog inspired by the journey of a solo female traveler around the world. Also a top food blogger in Malaysia with reviews you can count on. Facebook fans 1,579. Twitter followers n/a. Facebook fans 48. Twitter followers 99. Kuala Lumpur, Malaysia About Blog Apple Foodees is a Malaysian Food and Travel food blog by Shereen which shares the good and not so good food from eateries in Malaysia. Malaysia About Blog Amie features Malaysian cuisine on her blog Amie'Little kitchen. Facebook fans 7,807. Twitter followers n/a. Malaysia About Blog In my blog, I share my dining experiences, restaurant and hotel reviews, travel adventures as well as my tried and tested recipes and parenting posts occasionally. Facebook fans 4,116. Twitter followers 1,012. Kuala Lumpur, Malaysia About Blog A Food blog by Malaysian blogger Vivien about food in and around Kuala Lumpur and Selangor. Selangor, Malaysia About Blog Welcome to my kitchen! My name is Joyce and I'm currently residing in Selangor, Malaysia. I love to bake and trying out new recipes from my ever increasing collection of cookbooks. About Blog A blog about food, accommodation and lifestyle for Malaysia and the world. The best places to eat, drink, stay and spa. Malaysia About Blog A Malaysian Food Blog featuring food review of restaurants, hawkers, and street food from all over Malaysia. A passionate Malaysian Food Blogger who loves to Eat, Photograph, Travel and Write. An honest guide to nice delicious Malaysian Food. Facebook fans 3,660. Twitter followers n/a. 36. Eat what, Eat where? Kuala Lumpur, Malaysia About Blog A coffee addict who loves to write about the food she eats (but may not necessarily know everything there is to know about food). Has a weakness for carbs and likes eggs done any way. Gets cooking inspiration from watching cooking shows on AFC, TLC & FN and tweaks recipes to simplify it. Kuala Lumpur About Blog Malaysian Food, Travel & Lifestyle Blog by Mei Mei. Facebook fans 314. Twitter followers 10. Kuala Lumpur Malaysia About Blog A Malaysian Food Blog that shares some of the Malaysia best restaurant to eat, best Malaysian food to eat. Search for your food in this Malaysia Food Blog and guide you to where to eat the most delicious food written by a passionate Malaysian Food Blogger - Best Restaurant To Eat. Facebook fans 3,965. Twitter followers 11. Malaysia About Blog Food is my passion. Music is my drug. Book is my pleasure. Serial Food Eater, Coffee Addict, Travel Dealer, Love Hate Humans, Cat Whisperer, Lip Sync Singer, Music Witch and I Speak Spectacular Vernacular KEDAH. Malaysia About Blog A blog on malay delicacies that can be found in Malaysia.Truly a Malaysian blog . Facebook fans 785. Twitter followers 110. Malaysia About Blog Venoth Nathan an ardent foodie, traveller and shutter bug. Australia About Blog Simple and delicious traditional Malaysian dishes that you can cook in under 3o minutes. Introducing traditional Malaysian dishes and Bridge CULTURAL and GENERATIONAL gaps from your KITCHEN! Kuala Lumpur, Malaysia About Blog A blog about Fine Dining and Matched Food and Wine Dinners at Restaurants in Kuala Lumpur Malaysia. Malaysia About Blog Malaysian Food Recipes, Cooking and Baking Blog by Wendy. Facebook fans 8,294. Twitter followers n/a. Kuala Lumpur, Malaysia About Blog Wanderlustgeek.com, a Malaysian food & travel blog by Jason Au. Around living brave & quench my thirst on good food in Kuala Lumpur, Malaysia. He started this blog to document down her food experiences, recipes while he experiments at home during weekend. Malaysia About Blog A Malaysian with her food and travel blog with tips to budget traveling, food reviews and restaurant recommendations. Facebook fans 4. Twitter followers 23. Johor Bahru, Malaysia About Blog You like food, we like food. We love cheap good food. We share all food we found in our life. 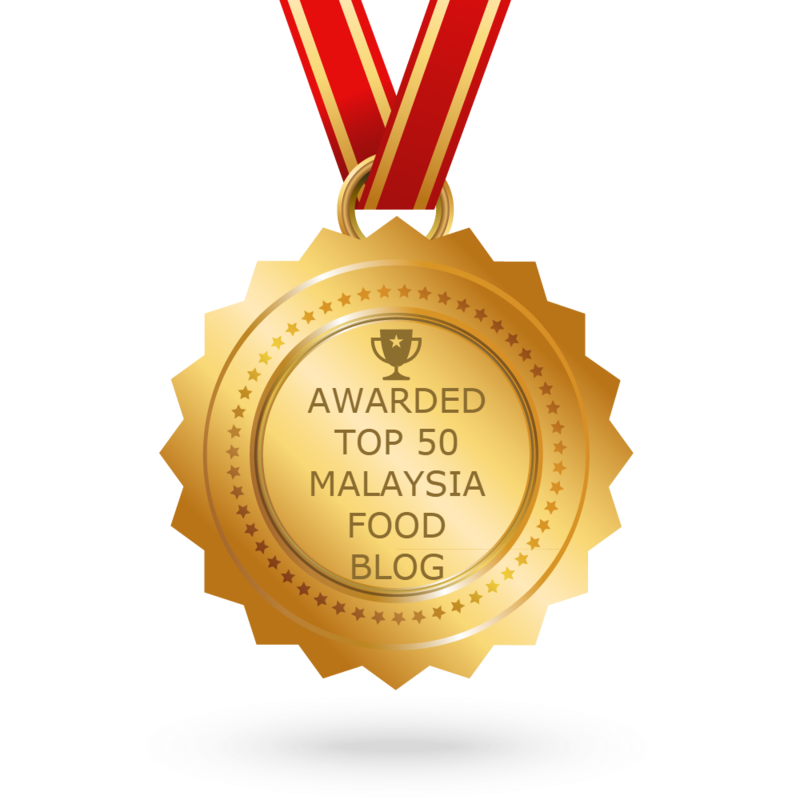 CONGRATULATIONS to every blogger that has made this Top Malaysia Food Blogs list! This is the most comprehensive list of best Malaysia Food blogs on the internet and I’m honoured to have you as part of this! I personally give you a high-five and want to thank you for your contribution to this world.